it’s such an important thing to remember. and it’s also so important to not just stop at the first half of that sentence. sometimes we Christians do get stuck there, andwe get a judgemental and “better than thou” attitude. i like to remember that Christ was not of this world, but he was sent into the world to LOVE. He didn’t sit up on a throne and tell the world how He was better than all of us. He could have but nope, He gave His life as a servant out of love for each and every, single one of us. He got his hands dirty literally, loving. may our love emulate His. 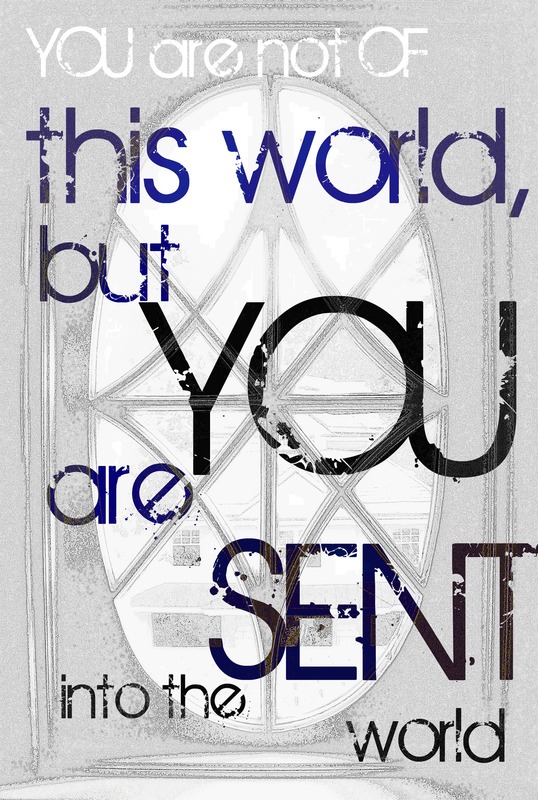 may this be a reminder that you are not OF this world- BUT you are SENT into the world as a light for Christ. may love be your light.